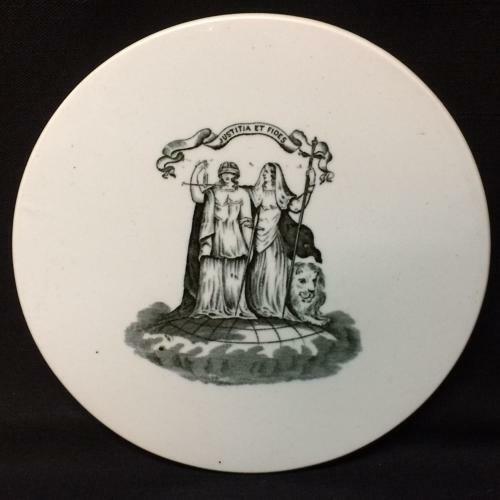 This is an antique scale plate features an image that represents blind justice, fidelity with a Lion of Britain. A perfect balance. The ironstone piece was made to hold dairy or meat products as they were being weighed. 8 inches in diameter. Perfect cheese plate.